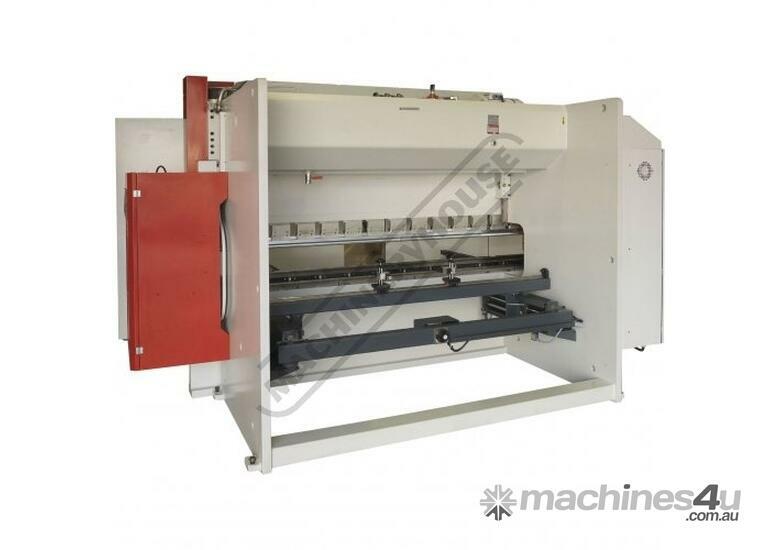 Programming of the axes position with automatic checks, automatic calculation of the R position, bending tonnage and crowning. 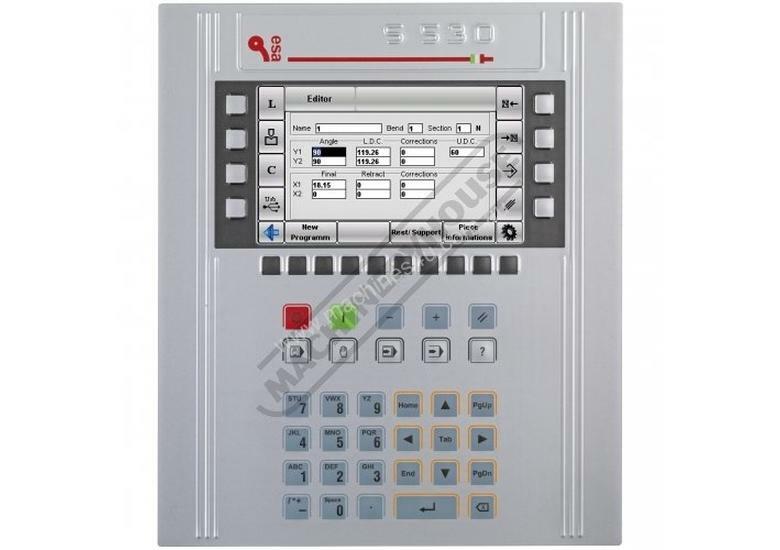 Product programming with direct angle input or in absolute dimensions. 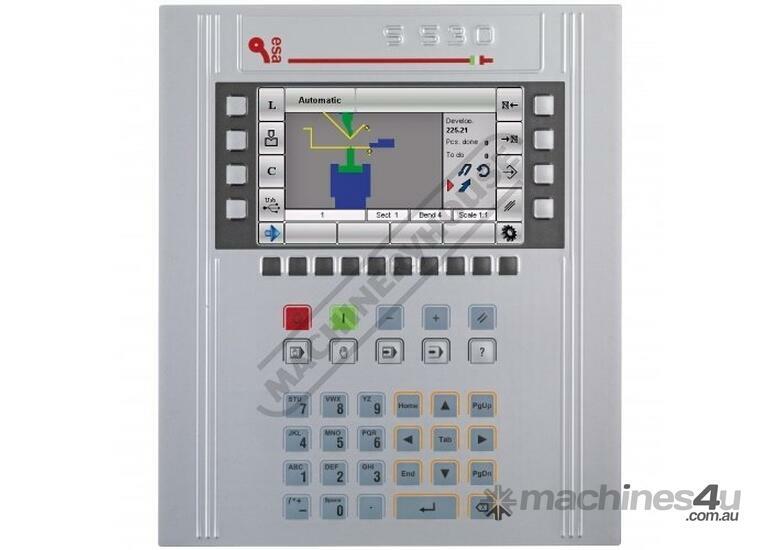 For each CNC program, the programmable and/or computed functions include: bending length /thickness, material selection, tooling selection, bend method, mute position, pinching point, press force/speed, incremental travel and retraction of backgauge, dwell time, delay time for axes re-positioning, decompression speed, tilt adjustment, corrections on Y and X axes. The hydraulic unit is made by major companies in the field. It consists of electronically controlled proportional valves with independent closed loop control of the two cylinders. Full electronic Synchronisation with proportional valve technology. 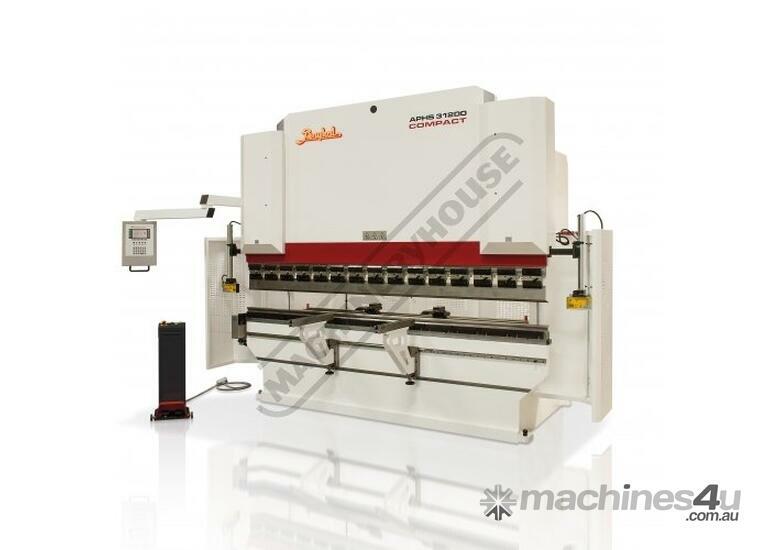 German manufactured Laser-Safe Guard System mounted at each end of machine ensuring correct interfacing and operator safety whilst in operation. Laser-safe is designed so each guard will slide up or down to allow for many different types and sizes of tooling enabling safety at the appropriate points as required by the Australian standards. Manual height adjustment with scales and lock for easy positioning. Sliding steel fabricated front sheet supports enabling a wide range of material sizes to be aligned and supported at the correct required width and height. 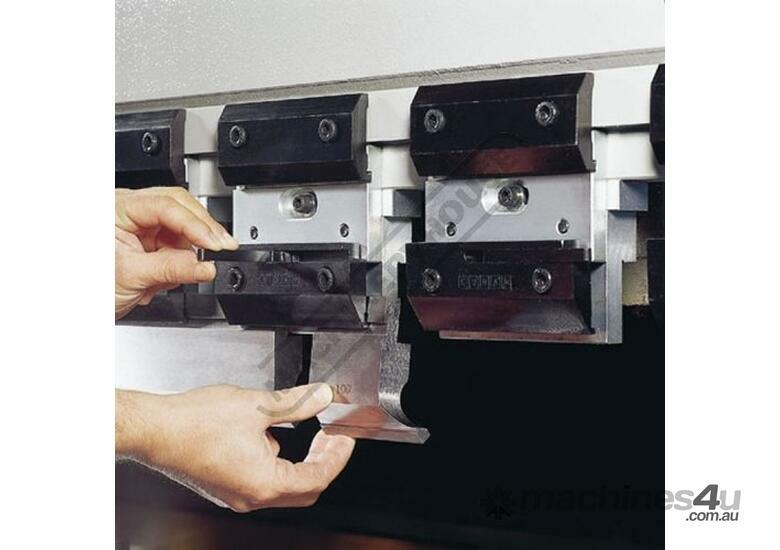 This function is achieved by the precision linear guides mounted on the front apron parallel to the tooling length. This design can also be adjusted vertically to support material with return bends. 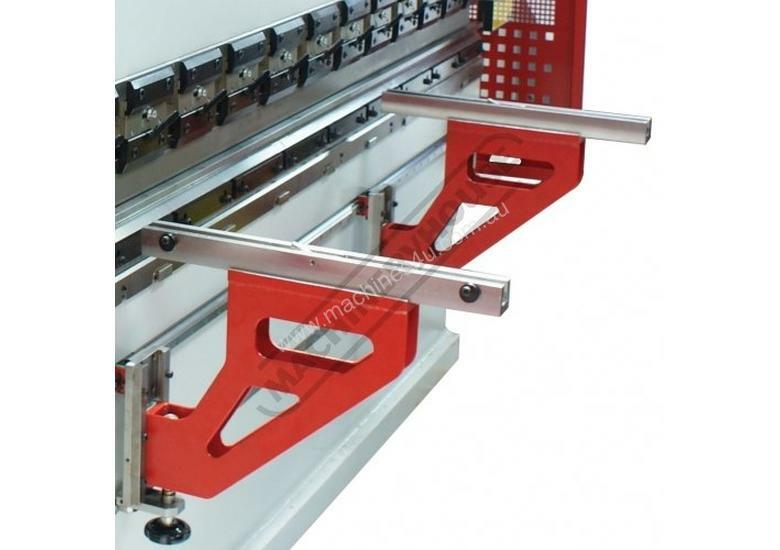 Accuracy is further ensured by mounting the linear encoders on a C-frame connected to the Bed rather than the side frames. 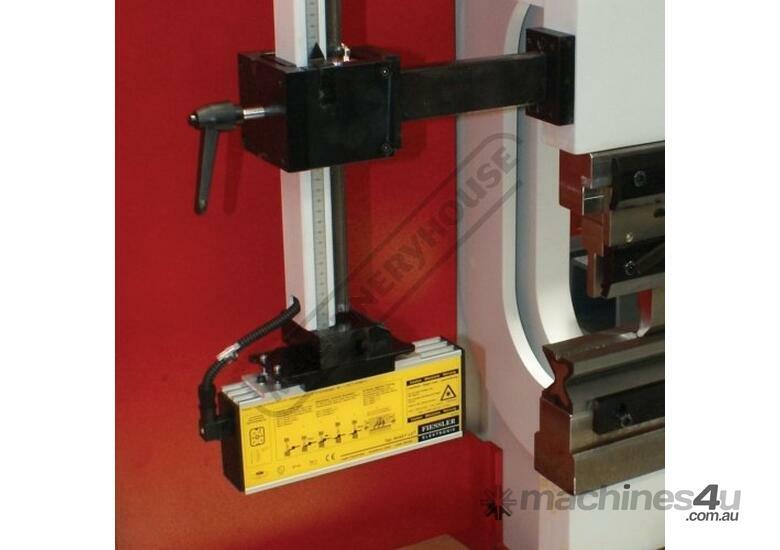 This ensures that deflection of the side frames and uneven loads have no effect on Beam position. X axis range = 750mm	speed = 350 mm/s max.